Click to view[Depreciated since iTunes 7.4.2] Purchasable iPhone Ringtones are officially here. However, with the discovery of free iPhone ringtones from inside iTunes 7.4 (and the rediscovery of them in iTunes 7.4.1), most of you won't want to pay $0.99 for the privilege of using a 30-second version of a song you've already purchased. Here are eight alternative ways to get ringtones onto your iPhone. 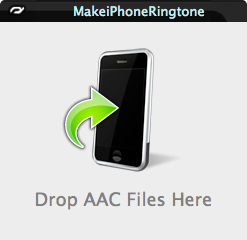 • SSH/File Transfer: All you have to do is drop an iPhone's iPod-compatible ringtone into the /Library/Ringtones directory, meaning you can use MP3s, AACs (protected and unprotected), or M4As. Anything that your iPhone's iPod supports will work. • Sendsong: Allows you to pick any song from your iPod and move it into the Ringtones section. Install this with AppTapp. We recommend you use one of the free methods, since they're actually quite easy to do. Even if you don't want to jailbreak your phone, the iTunes Music Store manual method and Rogue Amoeba's MakeiPhoneRingtone can take care of this for free. But if you want to make sure your ringtones don't get deleted when a new version of iTunes or iPhone Firmware comes out, you may want to try jailbreaking and placing the songs into the ringtones folder manually.